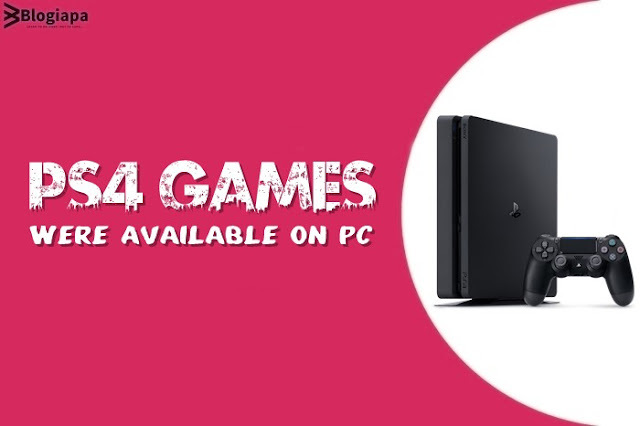 In this post, we'll talk about PS4 Games which is now available on PC. Visit this link & Get the latest updates in your mailbox. You can also connect with us on Facebook & Twitter. In honor of the celebration of the anniversary of the PlayStation 4, Sony has provided a list of the most popular games of the platform, and it became a real revelation for users. Quality and, most importantly, exclusive offers - one of the main trump cards of the PS4 and its fans. Gamers waving in front of the owners of PC and Xbox One hits like God of War and The Last of Us, however, the ruthless statistics put everything in its place. In the top, there was not a single release unique to the Japanese console. Microsoft can increase the power of the Xbox One indefinitely, Pekaboyare can flaunt fps inaccessible to consoles, but PS4 adherents have always known how to hurt everyone. The magic word "exclusives" often made a decisive argument in disputes. Uncharted, Gran Turismo, Marvel’s Spider-Man - all this is more than weighty arguments in favor of buying the PlayStation 4. But it’s not at all that they turned out to rest on the laurels of the best offers for the platform. Call of Duty: Black Ops III and WWII, FIFA 17 and 18, Grand Theft Auto V and Fortnite are the main stars of the PS Store. You can, of course, explain this by the fact that multi-platform entertainment will always be more popular with the masses. However, this list is a clear confirmation that not only exclusives drive PS4 sales. Absolutely all the little things play a role in this: the ecosystem, the policies of the corporation and the pleasant design of the console. And, to be honest, sales, Sony definitely doesn’t stint on them. The next one, by the way, has already started. The action, dedicated to "Black Friday", will last until November 26. Until then, you can replenish your collection with a couple of new entertainments - both unique and those that everyone has.